Not many people can stand the thought of eating frogs but while these odd looking amphibians may not seem like something worth chowing down on, they actually taste really good if braised in a claypot with dark sauce, dried chilli, aromatics and served with porridge. Yes, we’re talking about frog porridge, the popular Singapore suppertime staple. In Singapore, frog leg porridge is synonymous with Geylang but there are other places that serve really good frog leg porridge as well. Here is our list of 8 best places with tasty frog leg porridge. Well known for their many claypot delights—hence the name—, A One Claypot House adopts a traditional claypot-cooking method to maintain the refined flavours of the premium ingredients used. Their Claypot Dried Chilli Frog’s Meat is definitely a must-order. Topped with a generous amount of dried chilli and spring onion, the frog leg is simmered in hot and spicy Szechuan Gong Bao sauce that goes really well with plain porridge. If you are looking for a non-spicy version, do try their Claypot Frog’s Meat With Scallion Ginger Sauce that is equally well flavoured. 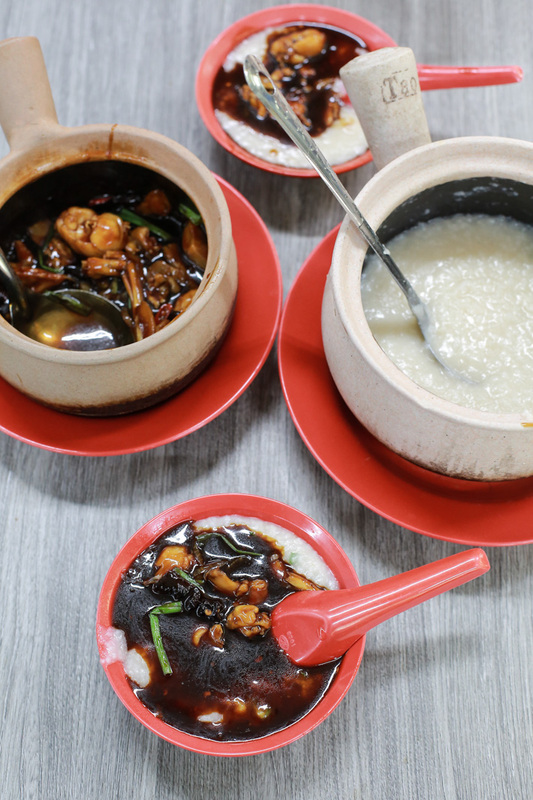 Located in the heart of Dunman Food Centre, Dragon City Claypot Frog Porridge serves one of the best frog porridge. 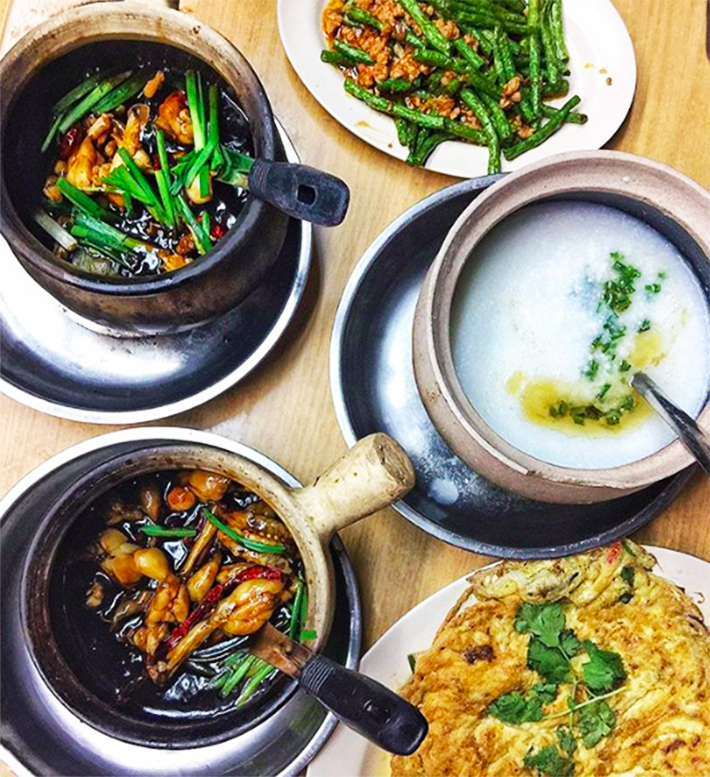 Apart from the usual Dried Chilli Frog Porridge, they also offer other interesting dishes like Chicken Essence Frog and Garlic Prawn that are worth trying as well. Served in a claypot filled with piping-hot chicken essence broth, the silky soft frog leg absorbed all the flavours of the broth and it is so tender that it falls off the bone easily. 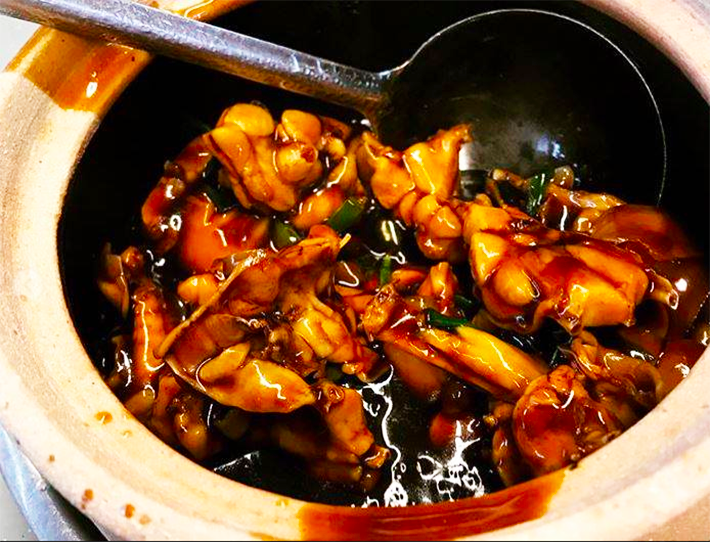 Like most frog leg porridge places, Eminent Frog Porridge serves their frog legs in a claypot, which helps to keep the dish at the optimal warmth for consumption. Their Frog With Dried Chilli is perfectly cooked–with the thick and spicy gravy latched onto every piece of tender frog meat. The gong bao sauce here is sweeter but it definitely has the spicy kick at the end, which goes really well with plain congee. Eminent Frog Porridge also serves other Zi Char dishes such as Chilli Crab and Hotplate Tofu. Opens till 3am daily, G7 Live Seafood Restaurant is a hot spot for a late night frog porridge supper. The porridge here is cooked to a nice and thick consistency, which is a great complement to their Gong Bao Frog Legs. What entices you is the savoury dark sauce of the Gong Bao Frog Leg, with a notch of spice that kicks in at the end. 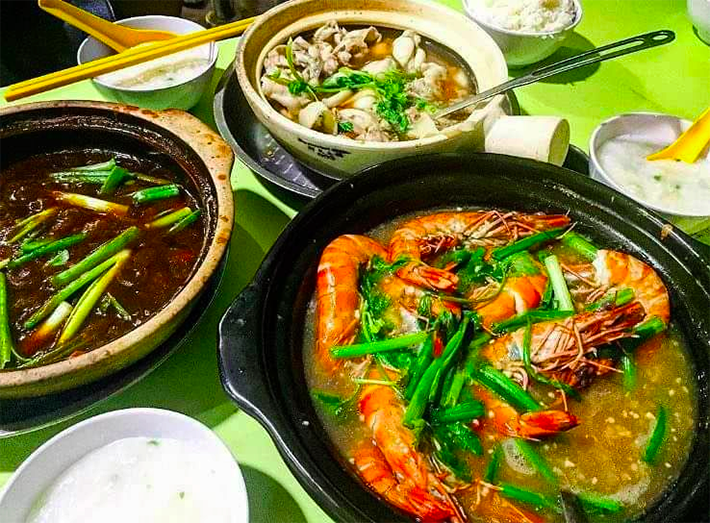 Apart from their famous frog leg porridge, you can also treat yourself to a wide range of fresh seafood at G7 Live Seafood Restaurant. 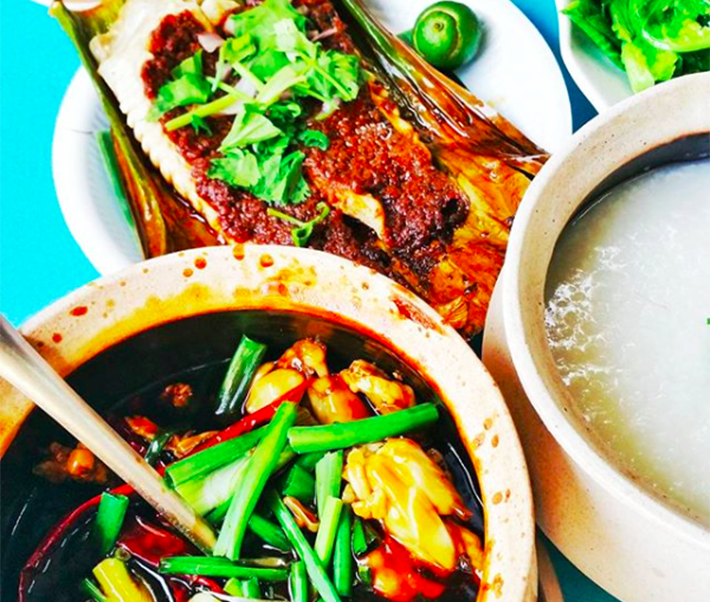 Tucked in a corner within a coffee shop along Braddell Road, Hong Chang Eating House is well known for their frog leg porridge as well as sambal stingray. The place is always packed with customers but the mouth-watering food definitely makes it worth the wait. Their Spring Onions And Ginger Frog Leg is a must-order when you are there. The gravy itself was light but flavoursome and it pairs really well with the thick porridge. Another star dish is definitely the Sambal Stingray that is generously slathered with their tangy sambal sauce. Good news for the Westies, you don’t have to travel far for a good frog porridge. Jurong West Frog Porridge serves really good frog porridge at economical prices. Their frogs are meaty and muscular and they are freshly prepared every day. 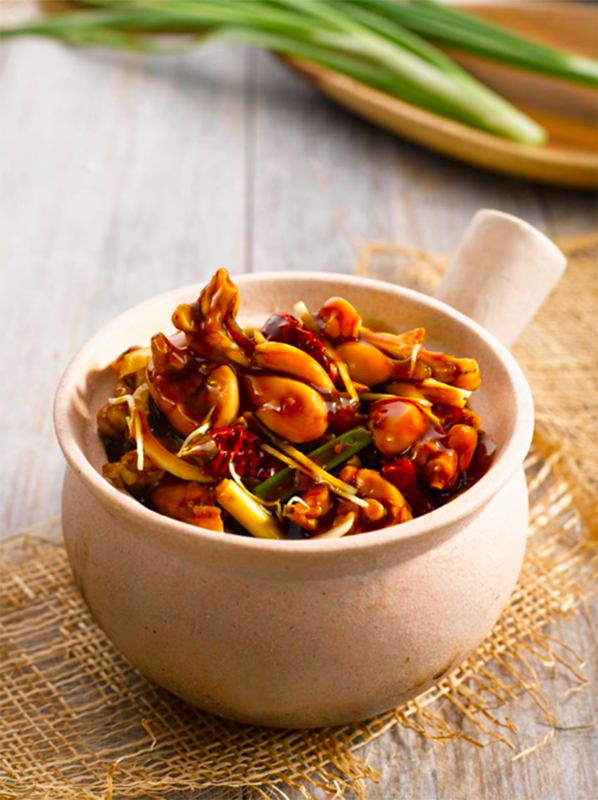 Their Claypot Dry Chilli Frog is generously coated with the umami dark sauce, which has a nice smokiness flavour to it. Also located along Geylang Road, Lion City Frog Porridge is a perfect late night supper spot. Although it might be a bit pricier compared to other stalls, Lion City Frog Porridge offers a tasty, dependable bowl of frog porridge that is definitely worth the price. Their frog meat had a good bite to it and the rich and spicy Gong Bao sauce goes exceptionally well with the thick, velvety porridge. Thiong Shian Porridge Centre at Chinatown is one of our go-to places for a good bowl of warm and homely porridge. They offer a range of porridge and zi char dishes at really affordable prices. Their Gong Bao Frog Leg came with large cuts of spring onion and frog meat, which was covered in rich gravy that was satisfyingly savoury, with just the right amount of heat.